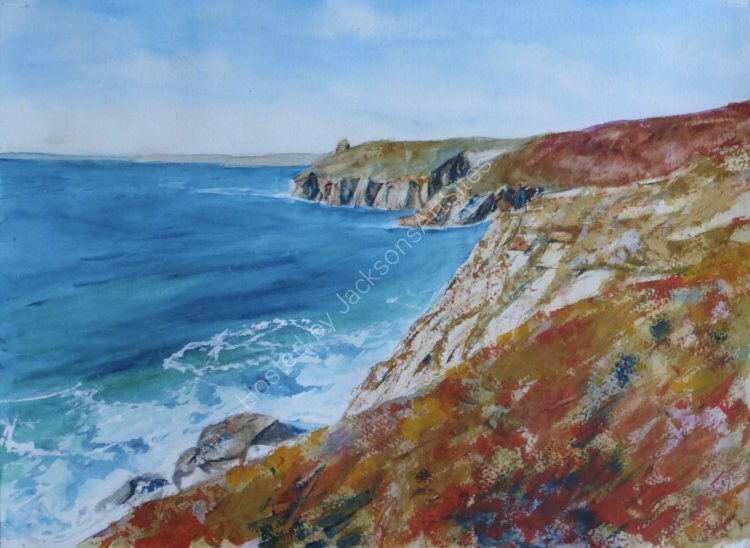 This painting was inspired by the amazing scenery on the footpath from Poerthleven to Rinsey Head. It was a beautiful day and the blue sky was reflected in the seas. Headland colours were vibrant in the sunshine. Painted in watercolour. Image size 37x27 cms, amounted and framed in a limed waxed natural wood frame.